-Copy all files and folder to your <CustomUI> folder. 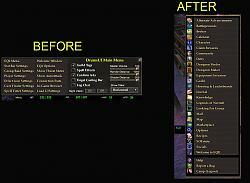 -Removed DrumsUI Menu Window and replaced with EQ2 StartMenu. I didn't need the Drums menu so I removed it. This is optional. 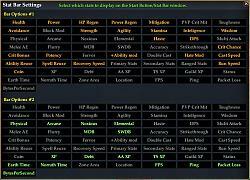 Just copy eq2ui_mainhud_startbutton from the optional folder into your <customUI> folder. You might want to have a backup of the original. I uploaded a new pic to show this. -In Bar Options #2, When WDB and SWDB were toggled it showed the color for Bar Options #1. -Thanks to a forum post by Tronz, fixed? Arcane, Noxious and Elemental from being truncated. I can't see this myself as I just got back into game and don't have a high level character, maybe someone can say. 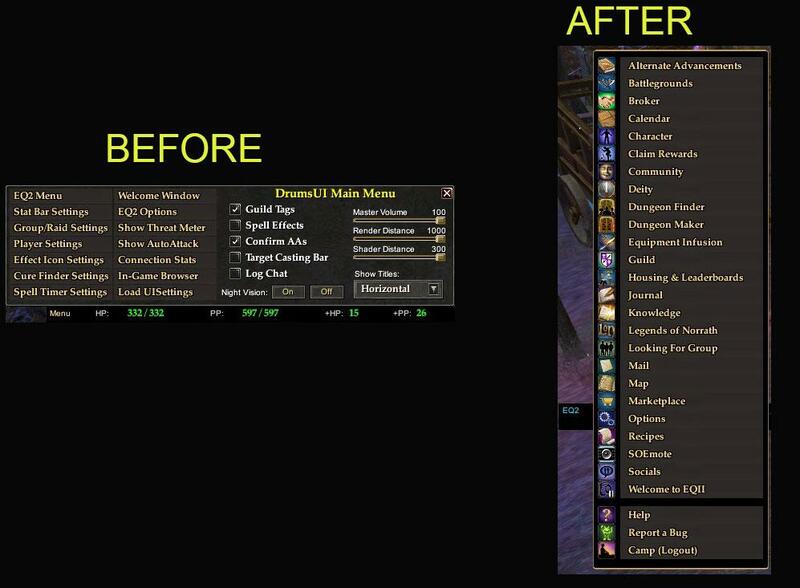 Is there a way to add the lines of text for just resolve and fervor without making the menu options change? 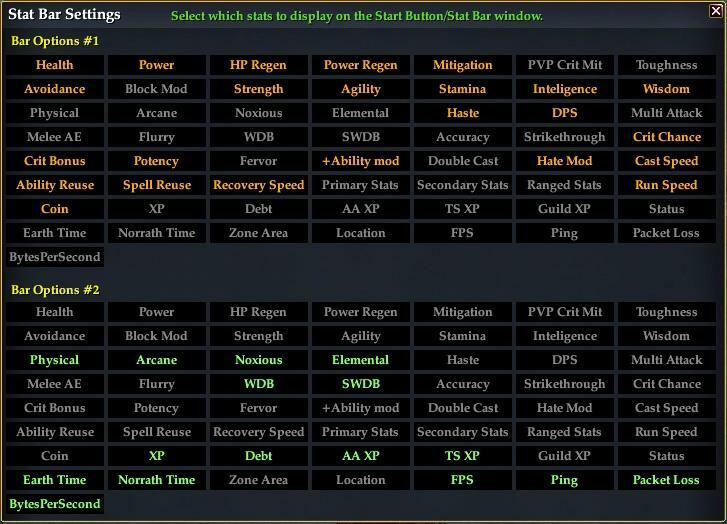 I tried it the other way and it removed all options for me to edit my spell timer windows, and group windows, and raid windows, and pretty much everything really.